B&M offers a wide range of Deep Pans and Standard Depth Pans in cast aluminum, polished aluminum and chrome steel! Deep pans add extra fluid for better cooling, efficiency and performance to your transmission. Polished aluminum pans add the finishing touch to your show car’s transmission. B&M Chrome Steel Deep Transmission Pans add style and functionality. 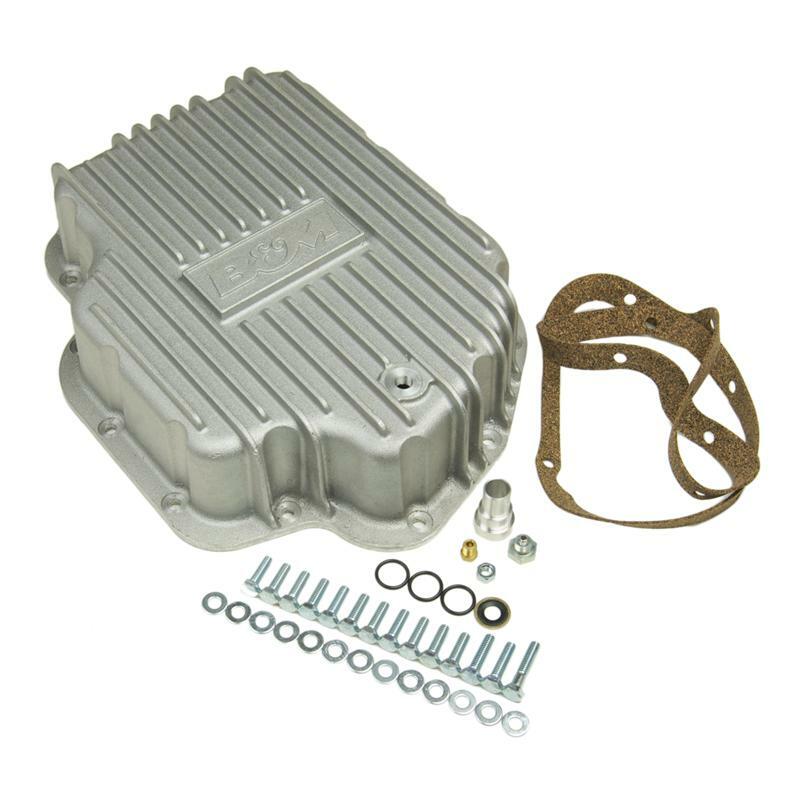 All B&M Transmission Pans feature built-in drain plugs and mounting hardware.